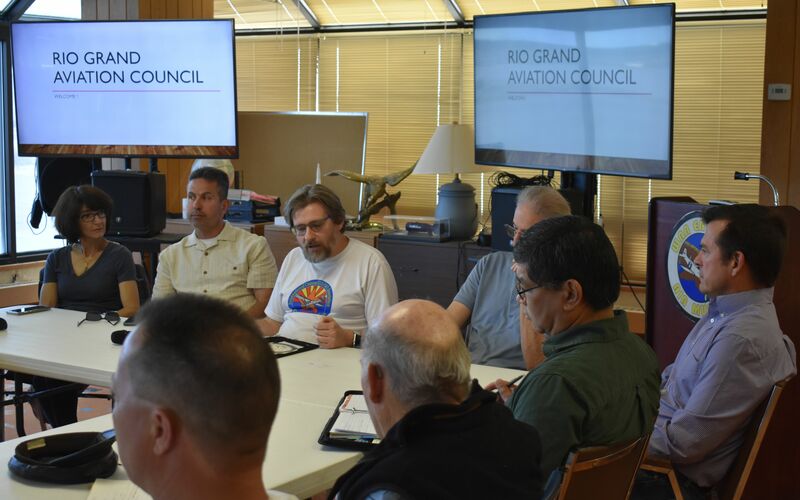 The brainchild of two local aviation leaders, Bob Dockendorf and John Keithly, The Rio Grande Aviation Council (RGAC) was put into motion this past weekend at the executive office meeting room of the War Eagles Air Museum (WEAM) at the Doña Ana County International Jetport. Incidentally, the above photo is of the actual large LED Display screens that were mounted in the War Eagles’ meeting room, but the Rio Grande part was inadvertantly misspelled, leaving the “e” off at the end of Grande. The two organizers recognized that there was no central or nexus organization through which the area’s many public-interest aviation groups and organizations might express both their legitimate public interests in their common industry, or to work more efficently to help collectively protect those same interests. 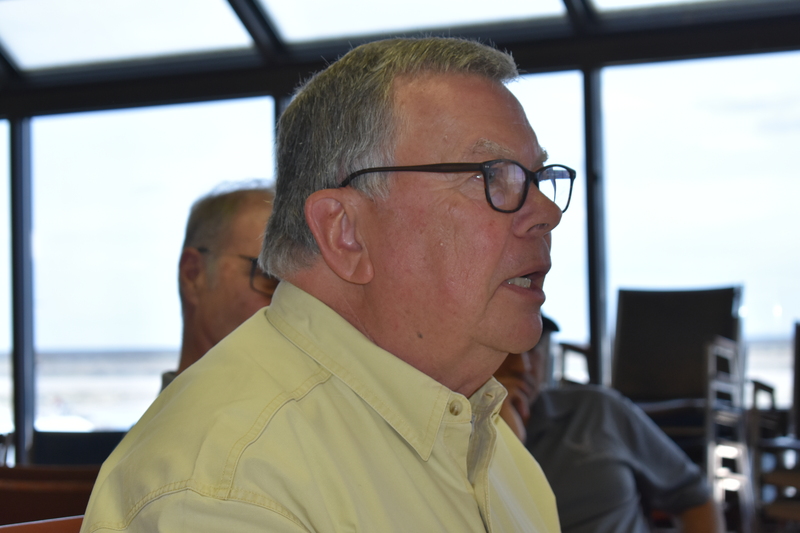 In short, the new council would provide a more unified voice for the West Texas and SW New Mexico areas in respect to aviation related issues and interests. 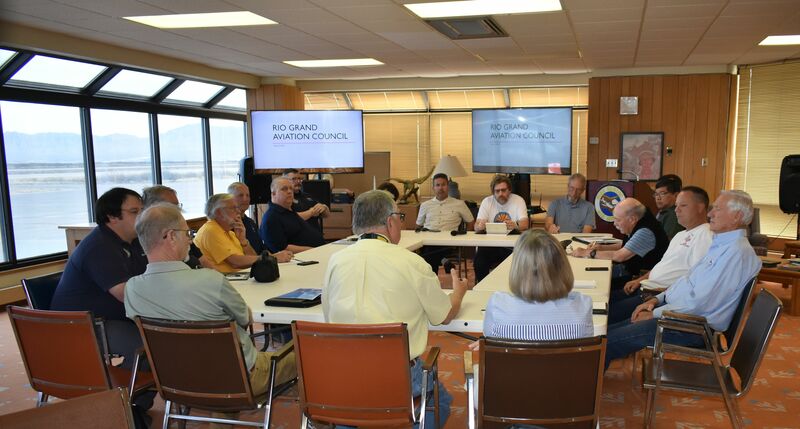 Accordingly, Bob invited the area’s numerous public-interest and non-profit aviation groups to meet together at the WEAM. 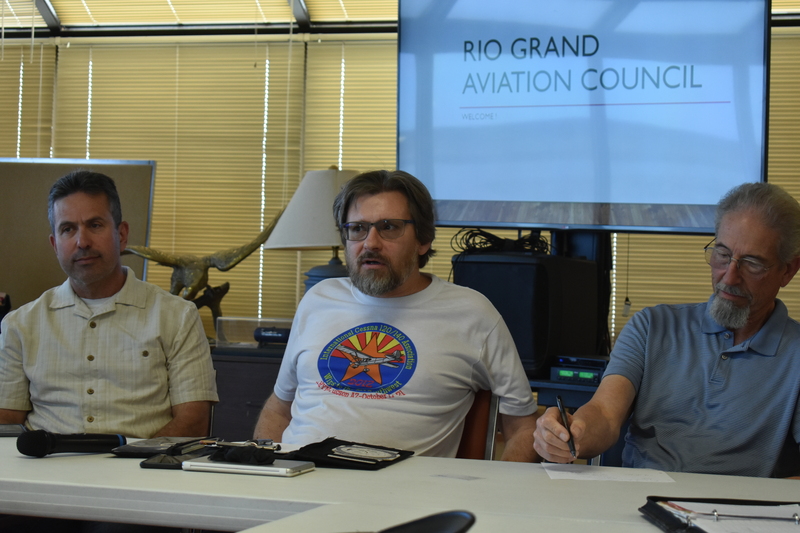 At least one or more representatives of each of the local (within a 100 mile radius of El Paso, Texas and Santa Teresa, NM) aviation groups appeared on Saturday, the 6th of April, to help organize this new organization. Bob and John recommended that the new organization be somewhat amporphous in nature and purposely not be formally structured, rather that it operate without any specific permanent officers or heirarchy. Its main functions would be to provide a sounding board, brain-storming platform, and a clearing house for the member organizations’ interests. It would, additionally, help provide a unified collective voice for the members’ common aviation interests. Attending were: Both the El Paso (215) and Las Cruces (24) Civil Air Patrol (CAP) Squadrons; both the New Mexico State University (NMSU) Air Force ROTC and AROTC units from the University of Texas, El Paso (UTEP); The El Paso Daedalians Flight; The El Paso Aviation Association; the El Paso Chapter of the Ninety-Nines (International Organization of Women Pilots); both chapters of the EAA, from Las Cruces (555), and Santa Teresa (1570), NM; The First Aero Squadron Foundation (FASF); the Las Cruces Aviators Club; The several local area High School Junior ROTC units; Air Force Association; the United States Air Force Academy and USAFA Alumni Chapter (USAFA); City of Las Cruces International Airport and the Doña Ana County International Jetport Airport; The Academy of Model Aeronatics; the El Paso Radio Controllers (EPRC – RC Model Airplane Club); The Dust Devil Flying Club, the new UTEP Four Year Aviation and Space Program; and the local Quiet Birdmen (QB). 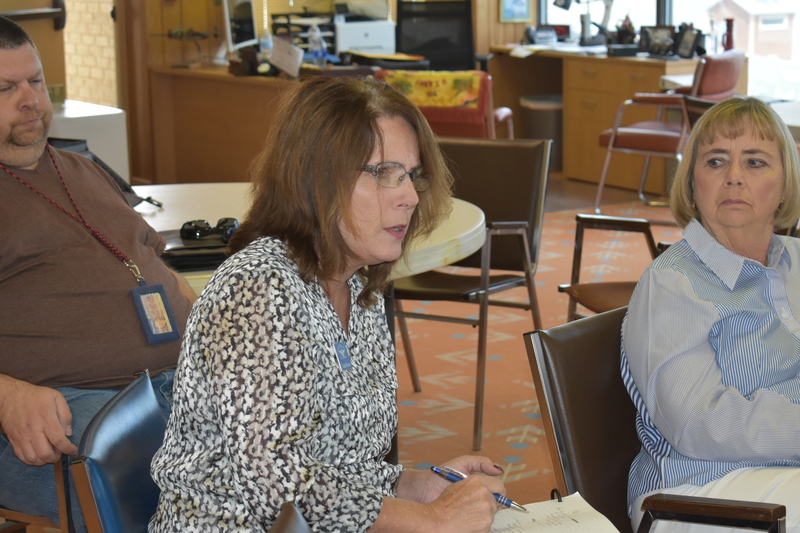 The representatives of each group discussed their particular assets and current principal needs and goals. 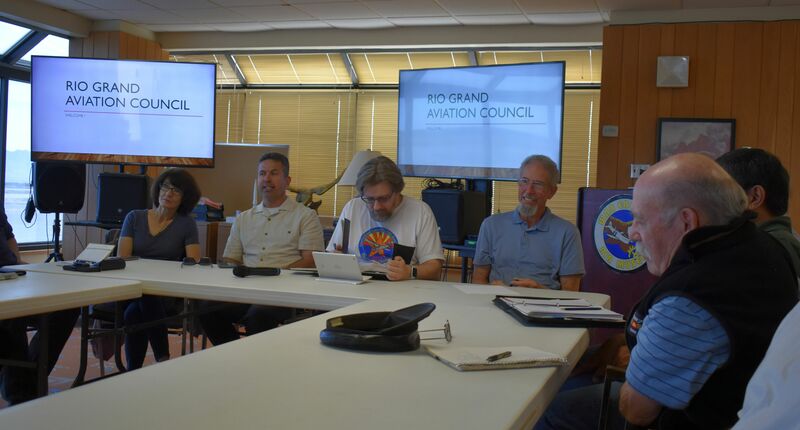 Several other aviation groups were invited, but couldn’t make this intial organizational meeting, but will hopefully participate in future conferences. Such future gatherings will be held at the WEAM on a quarterly basis. 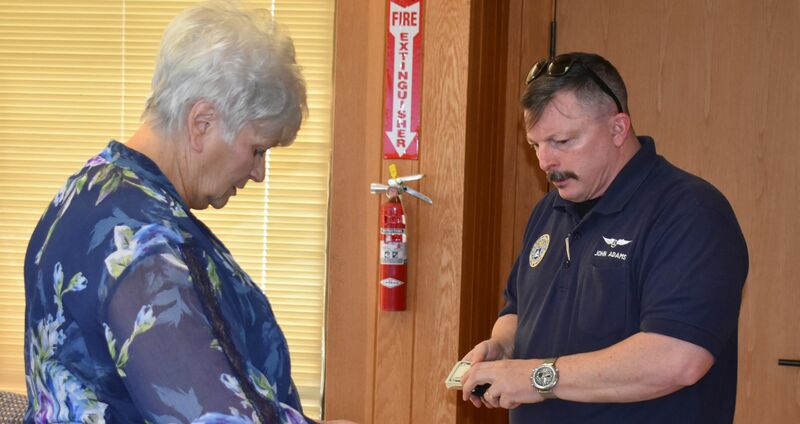 Mrs. Mary Dockendorf registers John Adams of the EL Paso Composite Squadron 215 of the CAP. 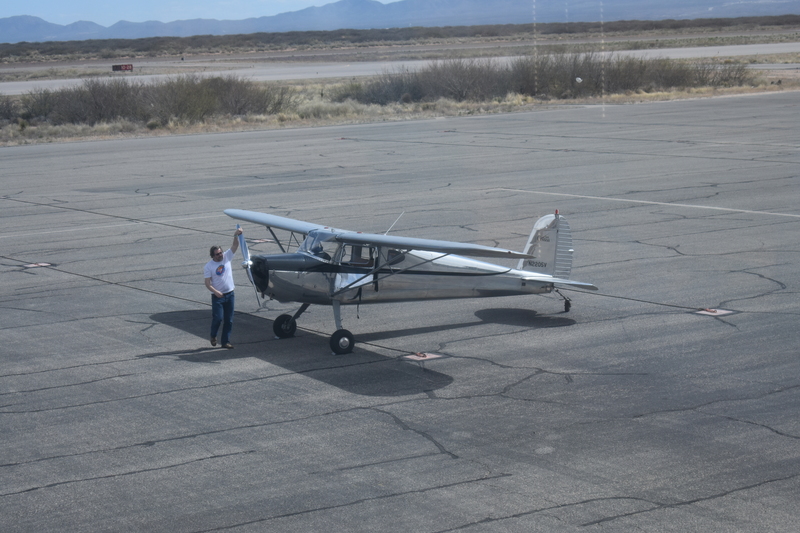 President Wes Baker of the Las Cruces EAA Chapter 555 parks his Cessna 140 on the ramp in front of the WEAM. 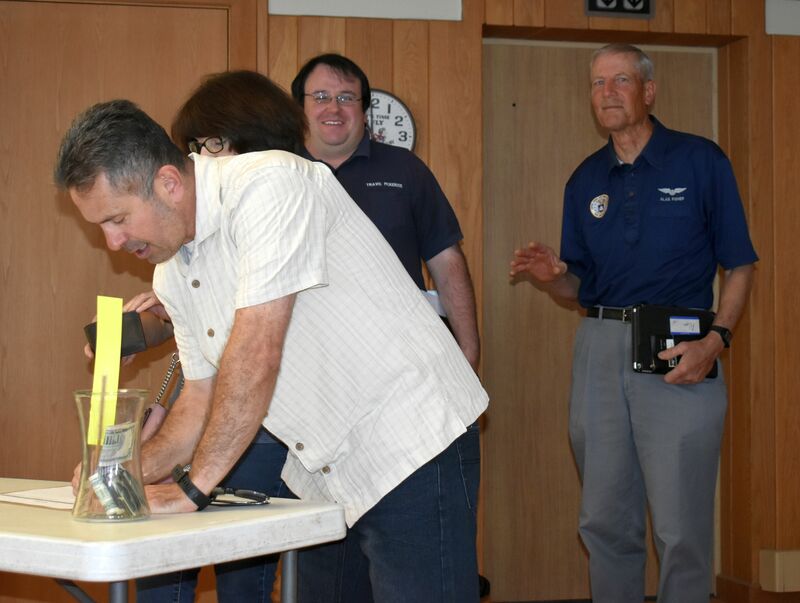 L to R: Todd Parsont (Franklin HS JAFROTC), Ana Donahue (Drone Pilot for the Elephant Butte Irrigation District-EBID), Squadron Commander, Travis McKenzie and Col. Alan Fisher (CAP Squadron 24) line up to sign in for the meeting. 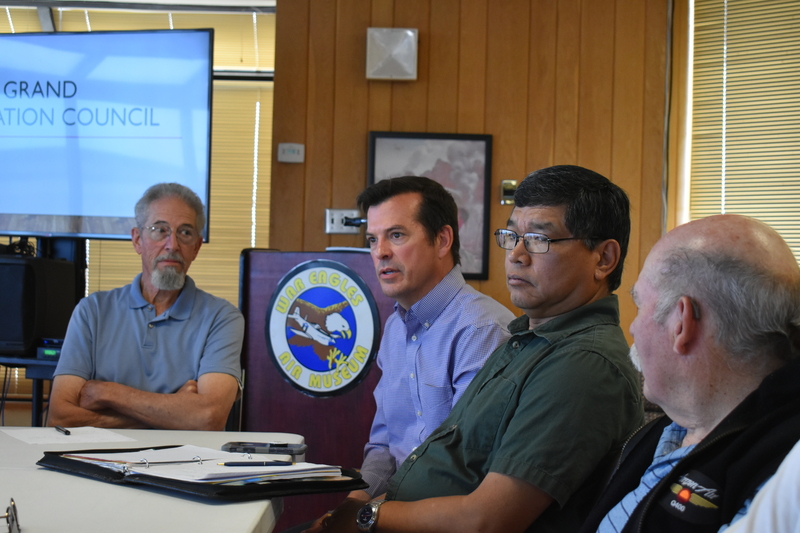 L to R: Ana Donahue (EBID), Todd Parsont (JAFROTC), Presidents Wes Baker (EAA 555) and John Keithly (EAA 1570), Col. Mario Campos (hidden behind) Juan Brito (EPAA). L to R starting with those sitting with backs to the windows: Travis McKenzie and Mike LeGendre (CAP), Rick King (Santa Teresa Flying Club), Col. Alan Fisher (CAP), Malcolm White (USAFA), John Adams (CAP), Ana Donahue ((EBID), Todd Parsont (JAFROTC), Wes Baker and John Keithly (EAA Presidents), Col. Mario Campos (Daedalians), Juan Brito (EPAA), Fritz Gatlin (EPRC), Tom Holmsley (AMA), (three people with their backs to camera, and L to R) Elliott Werner (EAA), Bob Dockendorf (WEAM) and Didi Shaffer (Chair of the El Paso Chapter of the 99’s). R to L clockwise: Rick King (Sta. 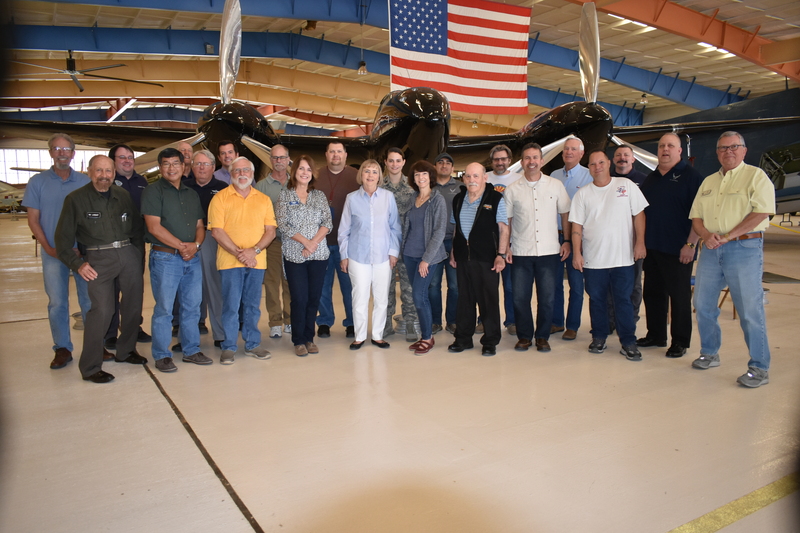 Teresa Flying Club), Col. Alan Fisher (CAP), Malcolm White (USAFA), John Adams (CAP), Ana Donahue (EBID), Todd Parsont (JAFROTC), Wes Baker and John Keithly (EAA), Mike McGee (UTEP), Col. Mario Campos (Daedalians), Mary Dockendorf (WEAM), Juan Brito (EPAA), and Fritz Gatlin (EPRC). L to R: Todd Parsont (JAFROTC), Wes Baker and John Keithly (EAA). 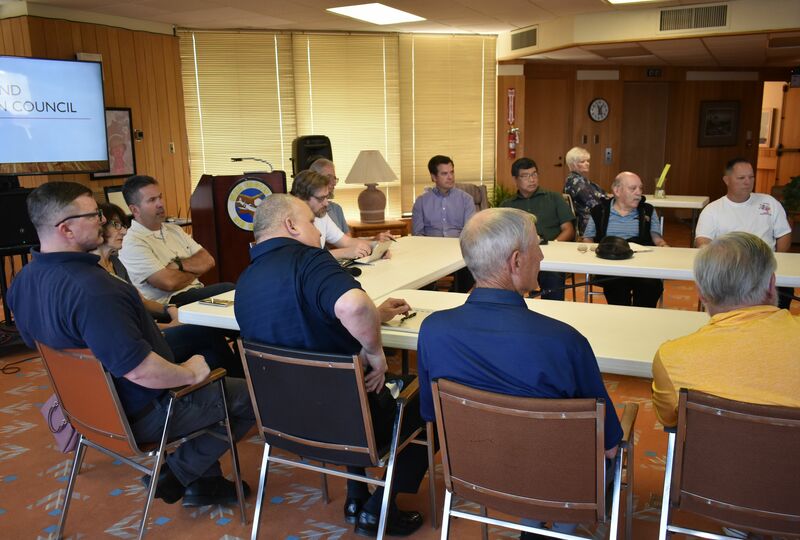 L to R clockwise: Ana Donahue (EBID), Todd Parsont (JAFROTC), Wes Baker (EAA), John Keithly (EAA), Mike McGee (UTEP), Col. Mario Campos (Daedalians), Juan Brito (EPAA), Fritz Gatlin (EPRC). 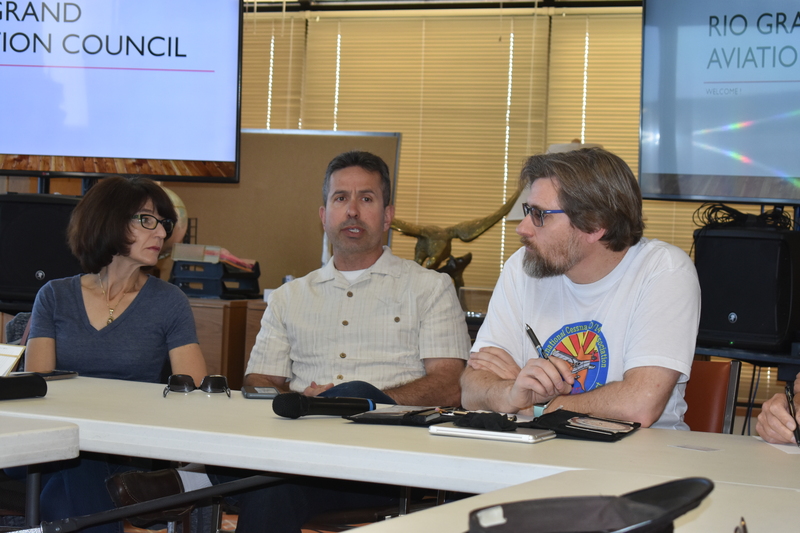 Clockwise R to L: (only part of his back to camera) Mike McGee (UTEP), Mario Campos (Daedalians), Juan Brito (EPAA), Fritz Gatlin (EPRC), Tom Holmsley (AMA), Tania Privette (LCA), Andy Hume (Las Cruces Int’l. 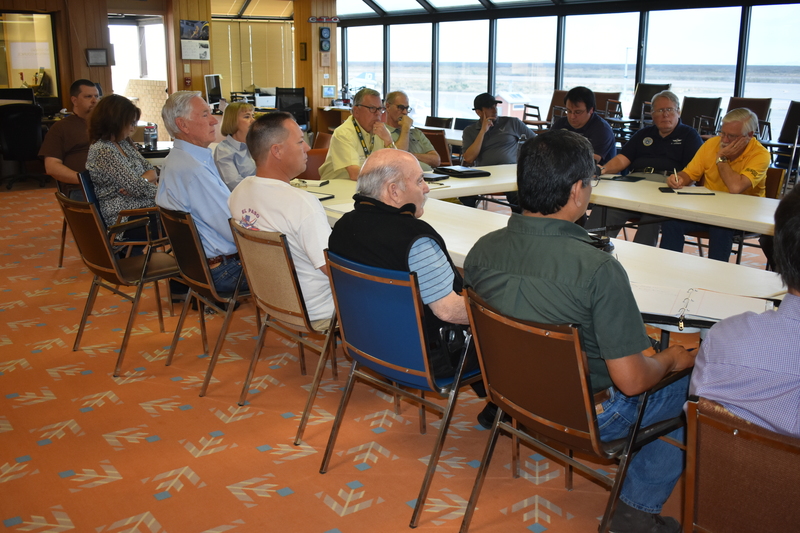 Airport), Didi Shaffer (99’s), Bob Dockendorf (WEAM), Elliott Werner (EAA), Javier Caraveo (USAFA & AFROTC), Travis McKenzie and Mike LeGendre (CAP), and Rick King (Santa Teresa Flying Club). 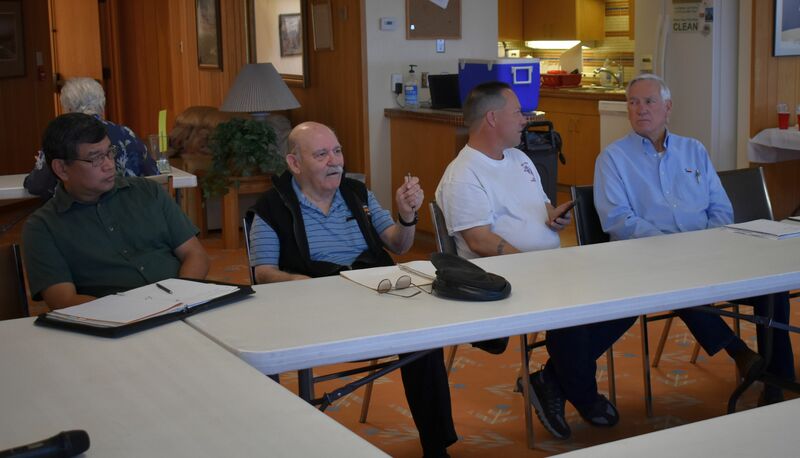 L to R: John Keithly (EAA 1570), Dr. Mike McGee (UTEP), Col. Mario Campos (Daedalians), and Juan Brito (EPAA). L to R: Andy Hume (Las Cruces Int’l. Airport), Tania Privette (LCA), and Didi Shaffer (99’s). 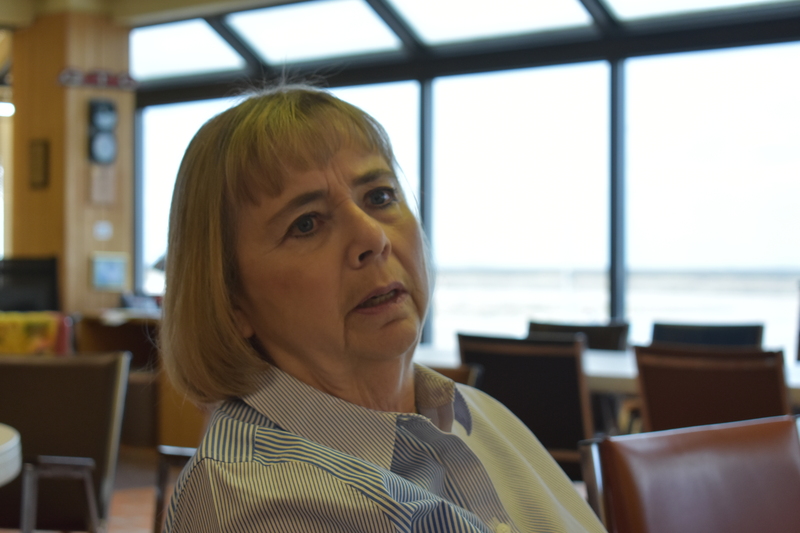 Didi Schaffer (Chair of El Paso Chapter of the Ninety-Nines). 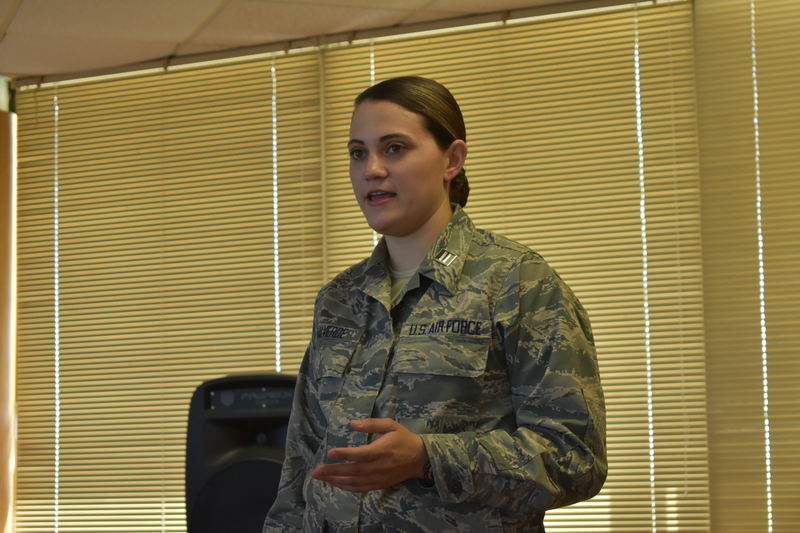 USAF ROTC Cadet Captain Ammber Valverde explains the UTEP/NMSU ROTC programs. RGAC Organizational Meeting Representatives – L to R: John Keithly, Ric Lambart, Travis McKenzie, Mario Campos, Alan Fisher, Mike LeGendre, Mike McGee, Rick King, Elliott Werner, Tania Privette, Andy Hume, Didi Shaffer, Ammber Valverde, Ana Donahue, Javier Cavaveo, Juan Brito, Wes Baker, Todd Parsont, Tom Holmsley, Fritz Gatlin, John Adams, Malcolm White, and Bob Dockendorf. This entry was posted in AVIATION NEWS, HOT NEWS! and tagged Academy of Model Aeronautics, Air Force Academy Alumni, Air Force ROTC, Alan Fisher, Ammber Valverde, Ana Donahue, Andy Hume, Bob Dockendorf, Cessna 140, Daedalian Flight 24, Didi Shaffer, Dona Ana International Jetport, Dust Devil Flying Club, EAA Chapter 1570, EAA Chapter 555, El Paso Aviation Association, El Paso CAP Squadron 215, El Paso Chapter of the Ninety-Nines, El Paso Radio Controllers, El Paso TX, Elliott Werner, First Aero Squadron Foundation, Franklin High School, Fritz Gatlin, Javier Caraveo, John Adams, John Keithly, Juan Brito, Junior Air Force ROTC, Las Cruces Aviators Club, Las Cruces CAP Squadron 024, Las Cruces International Airport, Las Cruces NM, Malcolm White, Mario Campos, Mary Dockendorf, Michael LeGendre, Mike McGee, NMSU, Quiet Birdmen, RGAC, Ric Lambart, Richard "Rick" King, Rio Grande Aviation Council, Santa Teresa NM, Tania Privette, Todd Parsont, Tom Holmsley, Travis McKenzie, United States Air Force Academy (USAFA), UTEl Paso Aeronautics & Space Department, UTEP, War Eagles Air Museum, WEAM, Wes Baker on April 8, 2019 by FASFRIC. Great article and pictures, Ric.